Within the parish of Calstock in Cornwall is the village of Metherell along with other villages such as Chilsworthy, Gunnislake, Harrowbarrow, and Latchley. Mentioned in the Domesday Book of 1086, much of this land belonged to the brother of William the Conqueror. Over the years its prosperity has been linked to mining, quarrying and agriculture due to its location on the banks of the river Tamar. 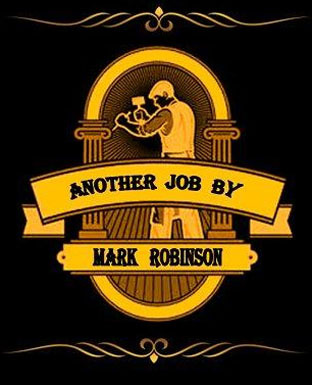 The Calstock area was, along with nearby Callington, responsible for fifty percent of the world’s arsenic production in the late 1800s. 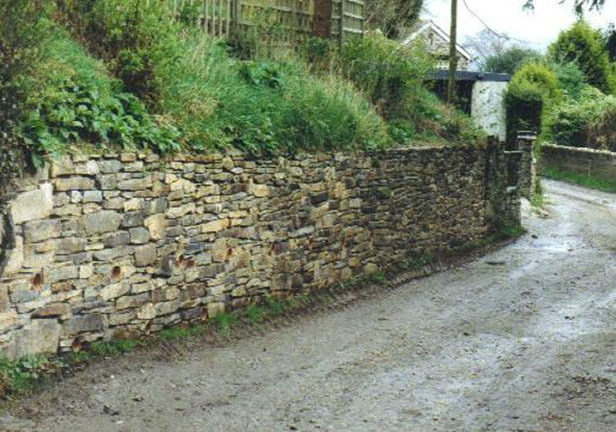 An old small drystone retaining wall had collapsed to a property in the village during a spell of heavy rainfall, and it was our job to rebuild it. The existing stone was re-used and a ‘French drain’ was incorporated into the reconstruction. 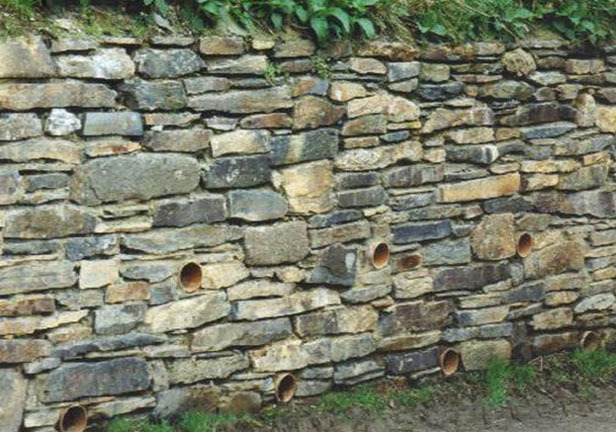 This relieves the build up of water pressure behind the wall and allows it to escape through clay pipes set into the stonework. A French drain is so called not because it originated from France, but named after Henry Flagg French (1813 – 1885), an agriculturist, inventor, lawyer, judge, Post Master and Assistant Secretary to the U.S. Treasury, and first mentioned in his 1859 book ‘Farm Drainage’.